Spirulina, often considered a superfood, is a nutritious micro salt water plant, discovered in natural alkaline lakes of South America and Africa. Spirulina has long been a source of nutrients and has been a rich food source for centuries. It is a spiral shaped algae and is 100%. Spirulina is well known as a healthy dietary supplement in many countries throughout the world. Spirulina is high in protein (4 times higher than fish or beef) and high in vitamin B12 (3-4 times higher than liver), on a weight/weight ratio. Spirulina is also very high in Iron. This is why Spirulina is considered a vegetarian’s best friend, as vegetarians are often lacking in Iron, Protein and Vitamin B12. Spirulina offers a wide array of minerals including Potassium, Magnesium, Phosphorus, Iron and Calcium. Spirulina provides a high concentration of beta-carotene – a potent antioxidant which helps protect cells. Spirulina also contains Phycocyanin and gamma-Liolein acid, which help to reduce the chances of heart disease and prevent high cholesterol. Spirulina is so nutritious that NASA has adopted it for astronauts to use in space as a nutritional supplement, and it is expected to be grown on space stations in the future. It is impossible to grow Spirulina when the environment is cold. If the environment has a temperature of under 20 degrees Celsius, Spirulina will stop growing and eventually die. 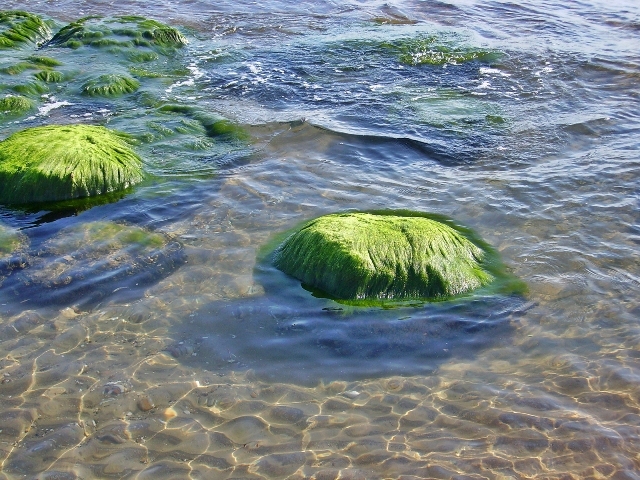 Spirulina thrives in sunshine, as the sun creates a cell reaction. As the reactions occur, the nutrients that are present in Spirulina start to form. The plant then changes carbon dioxide into oxygen. Overall, the sunshine allows Spirulina to create more nutrients through its growth process. Spirulina grows in alkaline saline water, absorbing nutrients from the water it grows in. If Spirulina is grown in polluted waters, it will not be suitable for human consumption, since there will be high concentrations of pollution or heavy metals in the water. Pollution, high temperatures and moisture reduce the overall benefits of Spirulina. Always use the product within three months of purchase. Do not expose it to sunlight. Reseal the package right after using. Do not place near possible heat sources. Do not buy more than six months supply in one go. Teenagers who are experience a rapid growth spurt. Pregnant mothers looking for more nutrients. Vegetarians in need of more nutrients. Seniors who have problems eating three meals every day. Children who do not enjoy vegetables or do not get adequate supply of food. Patients who are recovering from a procedure or are in need of more nutrients. Athletes in need of more energy to perform at a high level. Busy people who don’t have time to sit down and eat healthy meals. Anyone who has seafood or seaweed allergies. People who have a high fever. Do not drink alcohol, coffee or soft drinks immediately after taking Spirulina as the nutritional benefits will decrease. Wait about 30 minutes after consumption. Quantity of consumption does not matter per day, as long as you are taking enough to get you through the day. Drink at least a half a liter of water every day. Only take it with cold or warm water. Do not drink soft drinks, coffee, tea or juice with Spirulina. Even if you take a high quantity of Spirulina, it will not do any damage to your body. However, consuming too much is a waste. Always follow the package for directions. Always start Spirulina on a low dose and gradually increase the dosage. Moderate dizziness. If you start feeling dizzy, take less Spirulina and gradually increase the dosage. A small body rash or itch on the skin. Constipation and thirst. Once you start taking Spirulina we recommend drinking an extra 0.5 liter per day of water to help with the absorption of Spirulina. A small fever, as the body burns additional protein. Stomach Ache – decrease the dosage and build up over time. Many illnesses are caused because we fail to consume sufficient amounts of nutrients that are required to ward off illness. Getting sick, such as getting a cold or a flu, is our body’s way of telling us that we are lacking in nutrients; hence we start to feel ill. Fatigue and weakness is the most common example of this! Once these nutrients are replenished, however, the symptoms usually go away and our immune system is restored. If the nutrients are not restored, the immune system weakens and general energy levels decrease, creating further problems. One of the most convenient way to keep the body nourished is by taking Spirulina. Although Spirulina is not considered a medicine, it is useful in preventing many diseases by nourishing the body and strengthening the immune system. 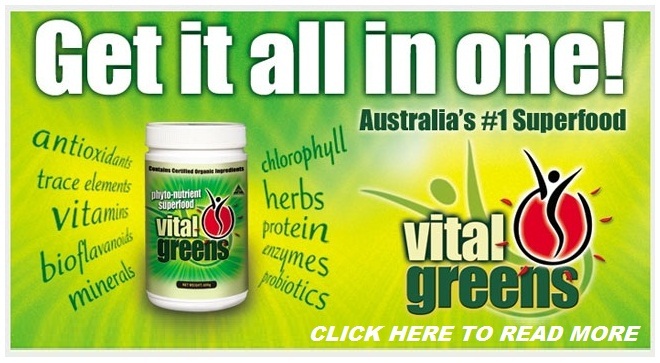 IF YOU LIKE SPIRULINA, THEN YOU’LL LOVE VITAL GREENS!